HyperX, the gaming division of Kingston Technology Company has launched the HyperX Cloud for PlayStation4 (PS4) gaming headset. 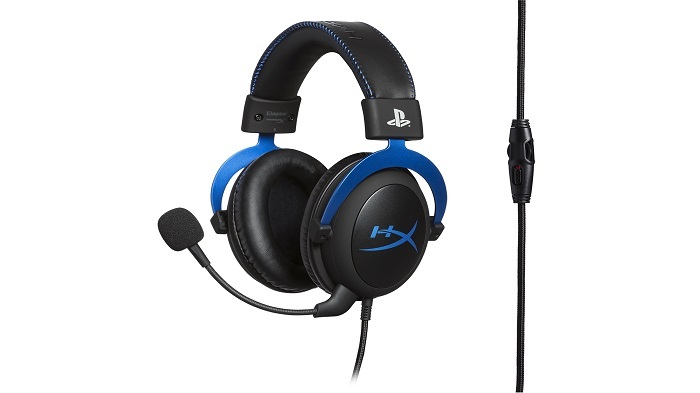 Officially licensed by Sony Interactive Entertainment LLC, the new headset is designed specifically for PlayStation 4 gamers with complementary PlayStation 4 blue colour accents, and HyperX comfort. The HyperX Cloud for PlayStation 4 is now available at online and retail stores at an MRP of Rs 9,990 along with a two-year warranty. HyperX Cloud is platform compatible with PlayStation 4, while offering 53mm drivers for high-quality sound, and an aluminium frame for durability. It also features a detachable microphone for an in-game chat while gaming and can be removed for mobile music, games and video. Meanwhile, competitive gamers can enjoy HyperX’s signature memory foam, soft leatherette cushions, and an adjustable headband for ultimate comfort.